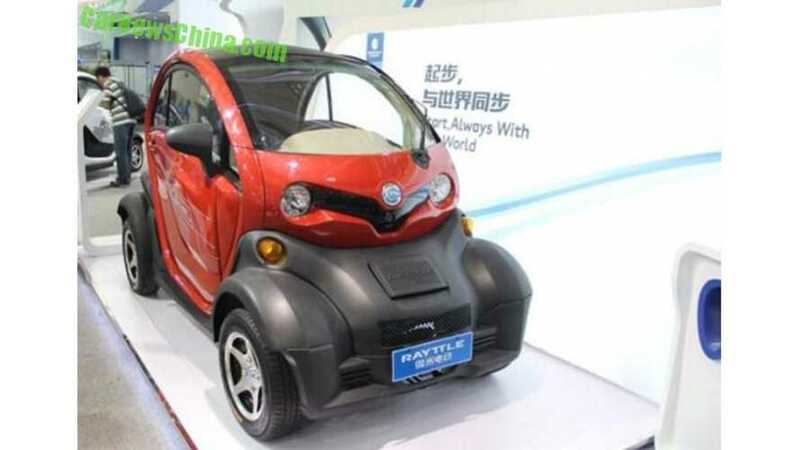 According to Carnewschina.com, Chinese company Zhejiang Litong New Energy Automobile Corporation cloned the Renault Twizy. Here is the Rayttle E28 EV, which despite its slightly different dimensions, weight, plastics on the front wheels and taillights, looks almost exactly like the Twizy. There are some changes inside and to the drivetrain though. Sales began in September 2014, but this clone news came out recently. 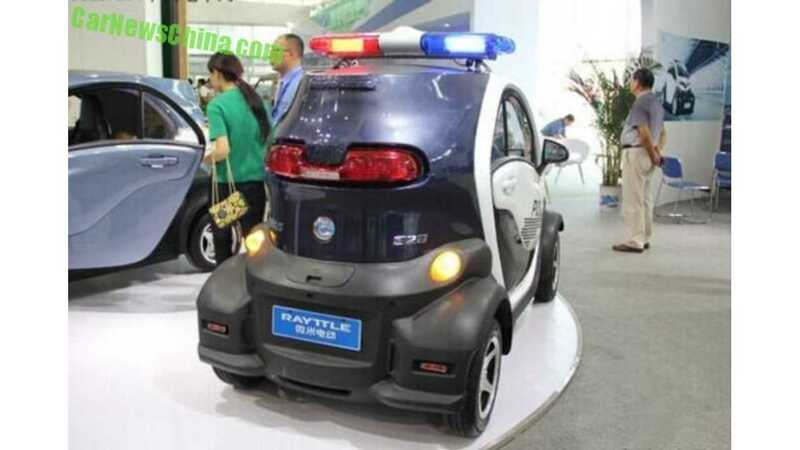 We would advise Renault to call police, but wait a minute...police are using the Rayttle E28 EV Twizy clone too. Arrggh! Renault Twizy isn't available in China though. The Renault Twizy. Litong New Energy really did a very fine cloning job. Overall design is 99% similar. Grille, headlights, indicators, mirrors, window, roof, roofline, windscreen wiper; they are all the same. 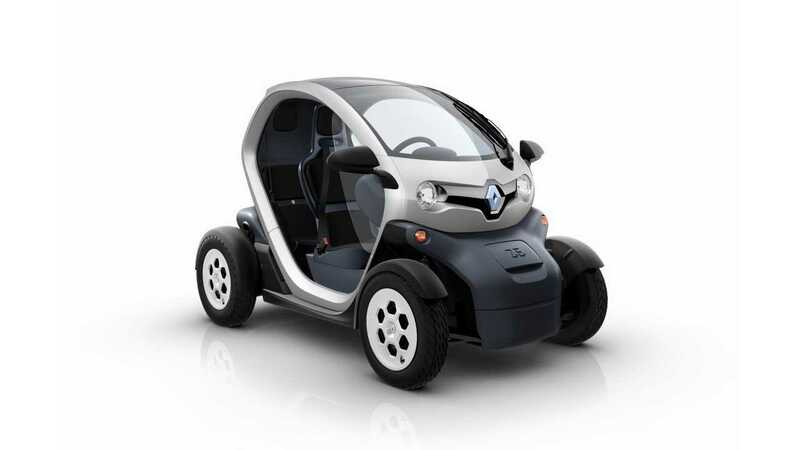 The only difference is the area around the front wheels where the E28 has wheel arches while the Twizy is open." "The Rayttle E28 is available with various electric drivetrains, combining various lead-acid and lithium-ion batteries with various electric motors. The top spec configuration is a 7.5 kW electric motor mated to a 73.5/135aH lithium-ion battery. Range is claimed to be 130 kilometer and top speed a rather surprising 80 kilometers per hour. Size: 2650/1240/1510mm, wheelbase is 1884 and curb weight is 650 kg. Price for all this pretty is 35.800 yuan or 5775 USD. Compare to Twizy: 2338/1381/1451, wheelbase is 1686 and curb weight is 474kg. Most powerful engine has 13kW. Price in the UK for the 12kW version starts at 7595 GBP or 11.520 USD. One Twizy is thus two E28." Source: carnewschina.com, hat tip to offib!